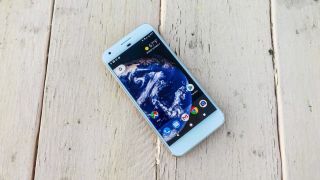 Over the last few months we've heard rumors of the Google Pixel 2 coming with a brand new, as yet unannounced Qualcomm Snapdragon 836 processor, but a new report has confirmed that's all false. Both XDA Developers and Android Police have spoken to sources familiar with Qualcomm's plans over the next few months who confirmed the upcoming phone from Google won't feature a brand new chipset. Instead it's expected the Google Pixel 2 will feature the Snapdragon 835, which we've seen in a variety of phones this year including some variants of the Galaxy S8 as well as the OnePlus 5, HTC U11 and some other big name handsets. That's not necessarily a bad thing, as the Snapdragon 835 is a powerful chipset that's supplying great benchmarking results as well as optimized performance leading to better battery life in most of the phones we've seen it featured in. If Google had managed to secure a Snapdragon 836 for the phone it could have been a touch more powerful than the rest of the competition, but it's not going to be a big deal considering the phone will still be robust with the Snapdragon 835. The sources did not confirm the Snapdragon 835 will be included in the Google Pixel XL 2, but it would make sense considering the original two phones were remarkably similar. Qualcomm will likely reveal its new Snapdragon processor at some point in 2018 before a lot of new flagship phones hit the market while the Pixel 2 and Pixel 2 XL are expected to launch at a rumored October 5 event.